This cool Adobe Photoshop Tutorial tells us how to pimp your car. 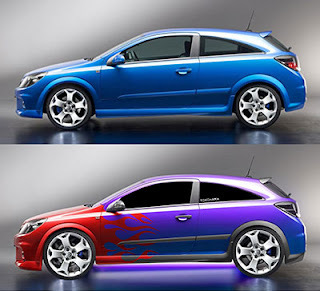 As graphic designer sometimes we need car photoshop tutorials to do these type of work everyday. This tutorial involves very few photoshop techniques, that means this tutorial is great for beginner or just for fun as well. This tutorial is all about selection and concept. With this tutorial, i'll be posting 2-3 more photoshop car tutorials in this series.